The Colonel Francis T. Colby Society, which recognizes donors whose cumulative lifetime giving equals a minimum of $100,000, pays tribute to those who have had a major impact on the Museum. Our mission is immeasurably deepened by the individuals, corporations, and foundations who are Colby Society members, and we profoundly thank them for their generosity. A full listing of current Colby Society members is on display at the entrance to the Museum's Colby Room. 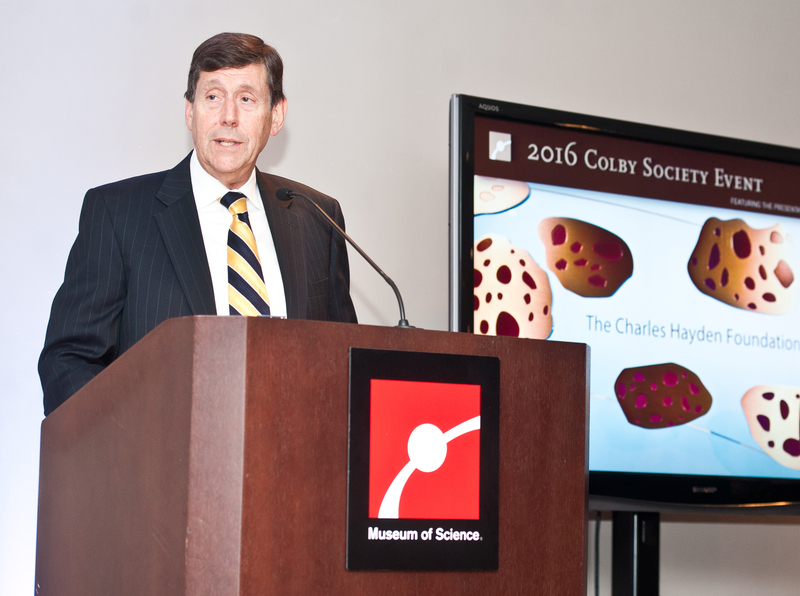 The Colby Award is bestowed annually on members of the Museum of Science family who have made extraordinary contributions of time, treasure, and talent to the Museum. Philanthropy is the lifeblood of any institution, and the Museum is no exception. The Colby Award recognizes the deep financial commitment and generous volunteer efforts of people who are so important to the Museum achieving its mission. Founded in 1836 with a mission to inform the populace regardless of gender, race, or economic status, the Lowell Institute has reached generations of Boston area residents by sponsoring free public lectures and other educational programs at the Museum of Science and elsewhere. The Lowell Institute and the Museum of Science have a shared history dating back to 1840. That was the year of the first Lowell Lecture—given on geology by Yale professor Benjamin Silliman and featuring specimens borrowed from the Boston Society of Natural History, the Museum’s founding organization. The relationship evolved as the Society transformed into the Museum of Science, and remains close to this day. Thanks to the Institute’s support, the Museum produces Forums and Lectures & Special Programs addressing a range of important and timely science topics. The Institute’s generosity also provides free access to the Museum through Astronomy After Hours, the High School Science Series, overnights, Traveling Programs, the Lowell Library Pass Program, and more. A Museum of Science trustee emeritus since 2002, M. Dozier Gardner was nominated to the board of overseers in 1990 and joined the ranks of trustees in 1993. His family’s membership in the Museum’s Discoverers Society began in 1980. The goal of his philanthropy to the Museum has been to help build capacity and to expand the institution’s reach. His family’s foundation, the Cedar Street Foundation, has contributed challenge grant funds to spur membership in the Museum’s Annual Fund giving societies, particularly The Innovators, and to support production of the Museum of Science magazine. Cedar Street has also issued grants to many local nonprofits, such as Trinity Church, Dana-Farber Cancer Institute, American Cancer Society, Building Excellent Schools, the Park School, the Greenwich Country Day School, and Mass Audubon’s Wellfleet Bay Wildlife Sanctuary, among many others. Dozier, who is an avid birder and sportsman, has served as a trustee of Wellesley College, Dana-Farber, and Deerfield Academy. He was a director at Eaton Vance beginning in 1970, served as president from 1979 to 1990, and as president and CEO from 1990 to 1996. He received his BA in chemistry from Princeton in 1955 and an MBA from Harvard Business School in 1959. Dozier and his wife, Sandy, are Museum of Science Great Benefactors. Officially elected to the Corporation of the Museum of Science in 1986, Wendy Kistler has served on numerous board committees and task forces, including visitor experience, marketing, the honorary campaign cabinet, and the highly successful Star Wars Gala in 2005. Wendy has long championed the institution’s live animal collections. Her vision and lead support was instrumental in the creation of the Museum’s extremely popular Butterfly Garden. Wendy has been involved in fundraising efforts for the Fenn School, Buckingham Browne & Nichols School, Smith College, and Massachusetts General Hospital, where she and her dog participated in pet therapy sessions for patients and staff. She has been a member of the Planned Giving Group of New England, served on the executive committee of Arts at MIT, and was a trustee of Holderness School. Wendy is a graduate of the New York School of Interior Design, Smith College, and The Hamlin School. She and her husband, Dr. Philip Kistler, are Museum of Science Great Benefactors. Seeking to promote the mental, moral, and physical development of children and youth in the metropolitan area of New York and the City of Boston, the Charles Hayden Foundation’s support of the Museum of Science dates back to the late 1930s, when it supported the Museum’s Junior Explorers Club. The Charles Hayden Foundation is perhaps best known for its gifts to establish the Hayden Planetarium at the American Museum of Natural History in New York (1935) and the Charles Hayden Planetarium at the Museum of Science, Boston (1958). In addition to providing the initial gifts for both planetariums and funding programming for decades, the Foundation has supported major renovations and technological upgrades to both facilities. 2015 – Richard M. Burnes, Jr.
Richard M. Burnes Jr. is a partner emeritus and advisor at Charles River Ventures, a venture capital firm that he co-founded in 1970. He has a decades-long history with the Museum of Science, beginning with his affiliation through the Boston’s Computer Museum. As chairman of the Museum of Science board of trustees from 2004 to 2010, Rick led the institution during the quiet phase of the Campaign for the Museum of Science. Alongside Gwill York, current board chair, he served as co-chair of the Campaign, which generated $288 million to support development of new exhibits, expansion of educational programs, and upgrades to the Museum’s iconic campus. Rick has served in leadership roles on numerous nonprofit boards, including the Boston Foundation, the Sea Education Association, Entrepreneur’s Foundation of New England, the Middlesex School, and the New England Advisory Committee of the Trust for Public Land. He also has been a board member at the Boston Lyric Opera, Cantata Singers, the Boston Center for Adult Education, and the Woods Hole Oceanographic Institution. In May 2014, Rick was named chair of the WGBH board of trustees. He holds a bachelor’s degree in history from Harvard College and an MBA from Boston University. 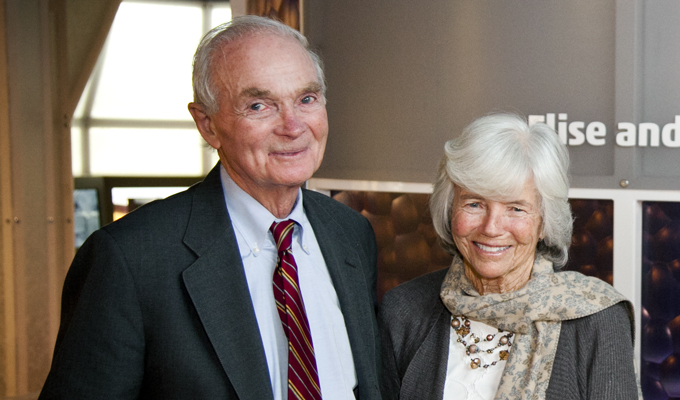 Rick and his wife Nonnie, a retired Massachusetts superior court judge, support a range of civic, cultural, and education nonprofits.Their first gift to the Museum of Science came in 1968. In recent years, they have provided key support for virtually every Museum fundraising priority, from the renovations to the Charles Hayden Planetarium and creation of the Hall of Human Life to The Science Behind Pixar, the upcoming lobby transformation, and the Annual Fund. George Hatsopoulos received his education at the National Technical University of Athens and the Massachusetts Institute of Technology, where he earned his bachelor’s, master’s, and doctorate degrees— all in mechanical engineering. He served on the faculty of MIT from 1956 to 1962 and as senior lecturer until 1990. He is a Life Member emeritus of the MIT Corporation. He founded Thermo Electron Corporation in 1956 and led the company and its many subsidiaries for more than forty years. Dr. Hatsopoulos is the recipient of several honors, including the ASME’s Henry Laurence Gantt Medal (1997), the John Fritz Medal (1996), and the Heinz Award (1996). George and Daphne began their association with the Museum of Science in 1989 when he was named Inventor of the Year. One year later, he began serving as a trustee (1990 – 1993) and later as an overseer (1993 – 1997). Daphne Hatsopoulos, a Museum trustee since 2005, graduated from Wellesley College with a BA in mathematics, and she later earned an MST from Boston College. She has served as a trustee of College Year in Athens since its inception in 1962. She has also served on the Boston Symphony Orchestra Board of Overseers, the WGBH Board of Overseers, the Massachusetts General Hospital Corporation, and the Planned Parenthood League of Massachusetts. Neil Pappalardo is the founder of MEDITECH, a leading supplier of information systems for hospitals around the world. He is a Life Member of the MIT Corporation, where he and Jane created the Pappalardo Fellowships Program in Physics and the Neil and Jane Pappalardo Professorship of Mechanical Engineering. He graduated from MIT in 1964, where he studied physics but graduated with a degree in electrical engineering. He has served as a trustee of the New England Aquarium and as an overseer at the Massachusetts Horticultural Society and the Boston Lyric Opera. Jane Pappalardo, who graduated from Boston University with a degree in music, is a member of the MIT Council of the Arts and has served as a Museum of Science trustee since 2010. She has been a trustee at the Isabella Stewart Gardner Museum and Beth Israel Deaconess Medical Center, and an overseer at the MFA, where she and Neil endowed the Pappalardo Curator of Musical Instruments. In addition to their leadership commitment to the Museum of Science Annual Fund, in 1998 they established the Jane and Neil Pappalardo Fund for Programs, which is used to support educational outreach. In 2013 the Pappalardos received the Commonwealth Award from the Massachusetts Cultural Council. Neil W. Wallace served as co-chairman of General Investment and Development Company, a real estate and investment holding firm that he cofounded with his brother in 1959. He graduated from Princeton University in 1955 and Harvard Law in 1958. Wallace has been a trustee of Brigham and Women’s Hospital since 1969 and has been a trustee of the Museum since 1970. He has also served as a trustee of Charles River School and Noble and Greenough School. He was on the board of Broadmoor Sanctuary in Natick and was an overseer for the Boys and Girls Club. Elise ‘Butch’ Wallace graduated from Mount Holyoke College in 1955 and from Simmons College School of Social Work in 1957. She served for many years on the board of the Massachusetts Society for the Prevention of Cruelty to Children and Dare Family Services, a private agency that provides intensive foster care and counseling for children removed from their home by the courts. Since the early 1980s, she has been a trustee of the Cotting School (presently emerita), a school that enables children with special needs to achieve their highest potential. She also served as a trustee of Nobles in the 1980s. At the Museum of Science, the Wallaces made an early lead gift to the Hall of Human Life, which led to the Human Body Theater being named in their honor. Since serving as chairman of the board of trustees at the Museum of Science from 1992 - 1996, Mal Sherman has played a central role in developing the Museum’s board through his leadership of the nomination committee. He is co-chair of the honorary cabinet of the Campaign for the Museum of Science. Mal is past chairman of the board of trustees of Tufts Medical Center, past chairman of the board of directors for the New England Sports Lodge, B’nai Brith, and past chairman of the Two Ten International Foundation. He has served as a trustee at Brandeis University for 33 years, as chair from 2007- 2013. Mal was the chairman of Zayre Stores and executive vice president of Zayre Corporation until 1987. He also served as chief executive officer of Regina Company, Channel Home Centers, Morse Shoe Co., Ecko Group, Inc., SmartBargains.com and Casual Corner. Mal is a trustee at the Massachusetts Eye and Ear Infirmary and the Massachusetts Cultural Council. The Barbara and Malcolm L. Sherman Fund for Adult Programs was established in 2006. 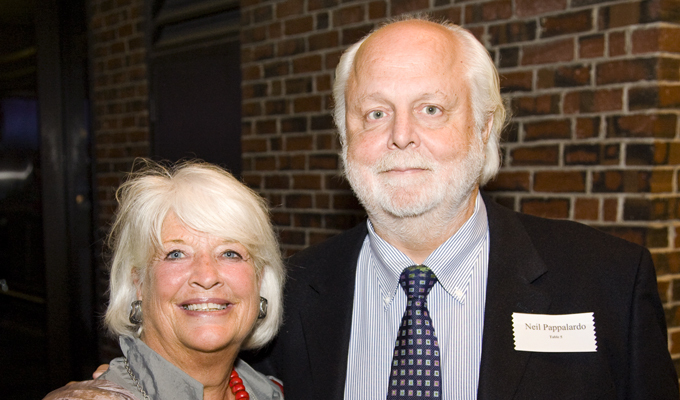 In March of 2006, Mal and Barbara Sherman became Great Benefactors. During his tenure as chairman of the board of trustees at the Museum of Science, from 1996 - 2000, Ira Stepanian oversaw the highly successful merger with the Computer Museum. He has served on the boards of many corporate and not-for-profit organizations. The non-profit boards on which he has served include Massachusetts General Hospital, Museum of Fine Arts, and Tufts University. He and his wife Jacquie served as directors of the Boston Public Library Foundation. He was a fellow at the Kennedy School at Harvard University for three years and is now a senior managing director at Brock Capital Group. In 1995 Ira retired as chairman and chief executive officer of Bank of Boston. He was the New England Council’s New Englander of the Year in 1995, and, that same year, he received the Medal of Honor from the Organization for a New Equality and was an early recipient of the Tufts University Distinguished Medal Award. The Stepanian Family Technology Education Fund was established in 2006 to support technology-related education programming throughout the Museum. 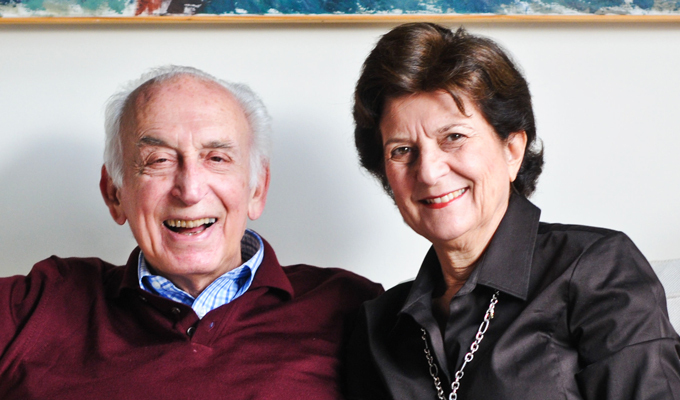 Ira and Jacquie Stepanian became Great Benefactors in June of 2006. Since joining the Museum’s Board of Directors in 1964, D. Reid Weedon has played a role in virtually every institutional initiative and capital project at the Museum of Science. He served as President of the Board from 1967 to 1972, and he was named a Life Trustee in 1972. His focus in recent years has been in chairing the Museum’s Planned Giving Subcommittee, and he is also a member of the Campaign Executive Committee. A commitment to education and community has characterized Jane and John Bradley’s service and philanthropy to the Museum of Science. Their leadership support at the Museum has been a constant through five decades. In addition to serving as Co-chair of the Honorary Cabinet of the Campaign for the Museum of Science, Jane is a Trustee Emerita and John is an Overseer Emeritus. With leadership gifts from the Gordons, the Museum established the Gordon Current Science & Technology Center in 2006 and the Sophia and Bernard M. Gordon Wing in 2007. As headquarters for the National Center for Technological Literacy® (NCTL®), the Gordon Wing provides a state-of-the-art space for creating imaginative exhibits and developing national K – 12 engineering curricula. For more than 25 years, Brit d'Arbeloff (along with her late husband, Alex d'Arbeloff) has given generously to the Museum. Brit, a true pioneer for women in science, was the first female mechanical engineering graduate of Stanford University. She is a founding member of the Museum's Women in Science committee, a group that brings together leading female scientists twice a year to explore diverse scientific topics. With her special talent for igniting a spark about science in children of all ages, Joan Suit is a tireless advocate of the Museum. She and her husband, Herman Suit, have given generously to many areas of the Museum, particularly the Suit/Cabot Laboratory Classroom, a drop-in wet laboratory where visitors can participate in scientific experiments.